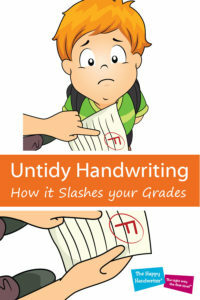 How Untidy Handwriting Slashes your Grades: Is Untidy Handwriting a Disability? 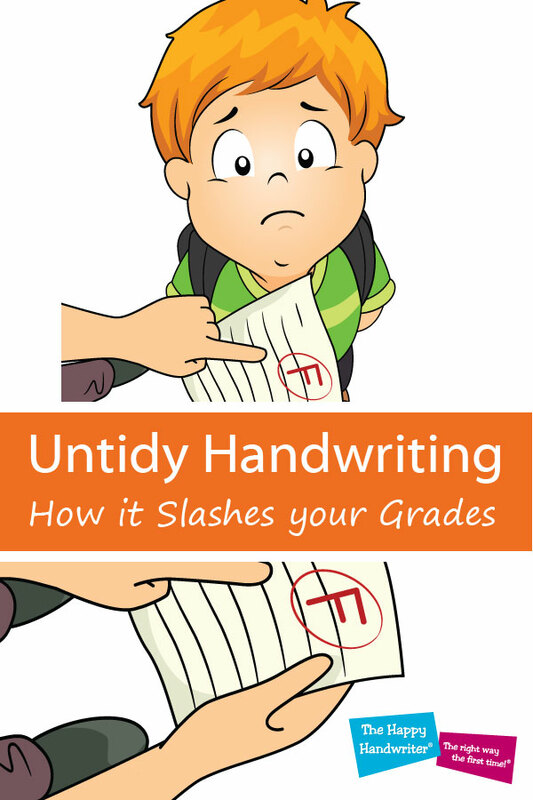 One of our great handwriting researchers, Steve Graham, identified the shocking implications of untidy handwriting on the grades allocated to students from one of his research studies. I always knew that untidy handwriting affected marks but I didn’t know it was this bad. I didn’t realise the toll that untidy handwriting took on our children, and how hard they had to battle to compensate for untidy handwriting. I didn’t know the true objective answer to the question: is untidy handwriting a disability? His study took the form of having exactly the same piece of work graded by groups of teachers. The only difference in the piece of work was the quality of the handwriting presentation and legibility. And the results were startling. A piece of work identified as falling in the 50th percentile was the subject of this research study. It was unanimously agreed that the quality of the work fell in the 50th percentile. Only this piece of work received some very special attention before it was sent out for marking to the unknowing teachers. Firstly, it was rewritten in beautiful, legible handwriting. And while it was the same piece of work of the same standard, it just looked simply beautiful. The group of teachers marking this beautiful but very average piece of work gave it a grading within the 85 th percentile! Let’s think again. Average work that looked beautiful suddenly skyrocketed from scores in the 50 th percentile to those in the 85 th! Straight away it became clear that the disadvantages of untidy handwriting would have a huge impact on a student’s ability to have their academic performance to be fairly and objectively measured. Is Untidy Handwriting a Disability? The thing is that the quality of handwriting can impact on the perception of quality of content. The teachers perceived it to be of a higher standard simply because it looked beautiful. But here is the real stinger in this study. The piece of work was, once again, re-written. Only this time, poorly presented with really bad handwriting. It looked a mess. Just like much of the bad handwriting we see in our classrooms. Once again, it went for grading with a group of teachers. This time, this average piece of work which was agreed to fall in the 50 th percentile, achieved scores in the – wait for it – 16 th percentile! This is both shocking and horrifying. Untidy, illegible and poorly presented work can cause a child’s marks to plummet from being average, to a miserable fail. This is not a judgment on the teachers marking – it is the simply human fact that we judge the quality of ideas based on the presentation. It is human. So to answer our initial question asking: is untidy handwriting a disability, the evidence seems to sadly point to the fact that it is. Our children’s performance in school is largely measured by what they write down. Not only does the quality of handwriting affect grades, our children’s ability to write quickly is also an issue. Just like in Masterchef, if the food isn’t on the plate it won’t be tasted; if a child doesn’t get what they know on the page, they will not be credited for what they know. They need to be able to write quickly to get everything they know on the paper and to be able to get through to the end of the paper itself. And so what are we to learn from this? It is essential that we take the teaching of handwriting seriously in our schools. It is a high priority skill. We measure our children’s abilities by what they can write down. 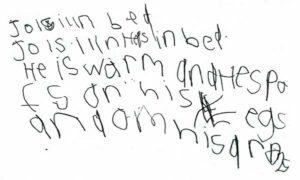 Some children do get dispensations, but for the most part, their performance is measured based on handwritten answers. It we do not equip our children with one of the primary skills to be able to achieve in the examination situation then we are failing them miserably. How to teach handwriting to primary students is of critical importance. School days are jam-packed with so many things shouting for time and attention. 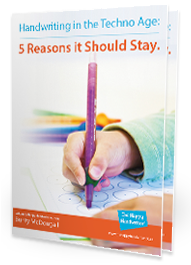 It is easy for handwriting to receive less time and consideration simply because there is only so much time, and a teacher is forced to make choices about where teaching time will be cut down. But we need to see handwriting as a skill of critical importance – as important as maths and reading. Maths cannot be scored if the numbers are illegible. Research has shown us that early graphomotor skills – or early handwriting skills – prime the brain circuitry for learning. We do need to find the balance between laptops, tablets and computers and handwriting. There is no doubt that keyboarding skills are essential for our children, but we need to find the balance between keyboarding and handwriting. Furthermore, we need to teach handwriting smarter. We have to apply what research has taught us about handwriting acquisition and make use of a multi-sensory handwriting approach. We must make use of specific teaching handwriting activities and exercises to improve handwriting for kids.